Welcome home to this well maintained home in Jacob's Creek, situated on a corner lot. Relax in front of the fireplace in the living room. Great size kitchen/dining room combination, first floor office, 4BR/2.5BA and large finished basement with plenty of storage area. Large over-sized 2-car garage, security system, over-sized water heater, shed and large patio with a hot tub! A must see! Rohrerstown El School Elementary School / Public 6 0.92 mi. Centerville Middle School Middle School / Public 7 1.87 mi. Hempfield Senior High School High School / Public 8 3.39 mi. St Leo The Great School * Pre-School, Elementary School, Middle School / Private N/A 0.59 mi. Hambright El School * Elementary School / Public 5 1.73 mi. Lancaster County Academy * Elementary School, Middle School, High School / Public N/A 0.99 mi. 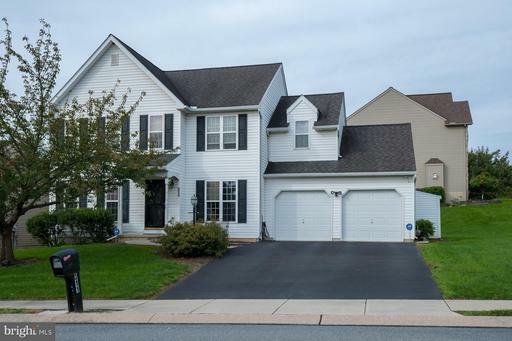 311 Springton Way, Lancaster, PA 17601 is a 4 bedroom, 2.5 bath single family home was sold for $289,500 by Phyllis Rothweiler in the Lancaster real estate office.